The second semester of the year 2016 is a great opportunity to celebrate special theme event at the Theme Parks in Orlando Florida. At Walt Disney World there are 2 great events at 2 great theme parks of Disney with 2 totally different perspectives of entertainment and celebration, these theme park are Magic Kingdom with Mickey’s not so Scary Halloween Party and Epcot with International Food and Wine Festival . 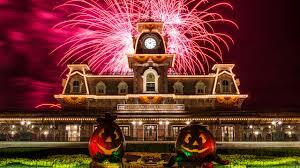 Orlando Discount Tickets USA will pay attention today to the Magic Kingdom celebration of Halloween with useful insights for you to take the most of the event. 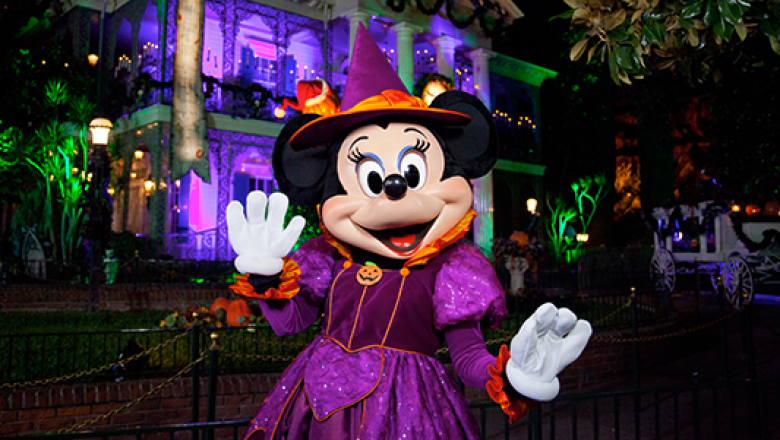 Mickey Not So Scary Halloween Party is a perfect Trick-or-Treat for all family members starting on September 14th through October 31st, 2016. The celebration requires a separated admission besides the general admission to Magic Kingdom and the party always start at Magic Kingdom from 7:00 pm to Midnight from the following nights. Mickey Not so Scary Halloween Party at Magic Kingdom as it called is not scary at all but totally fun for the family members and Little ones, because Magic Kingdom is dress up with all kind of Halloween decorations and also the Character will wear the favorite Halloween gowns, there will be very special sport to Trick or trick, will be áreas with Street dances and the main night shows and acts will have the spectacular taste of the celebration. During your visit to Mickey’s not so Scary Halloween celebration select the next events of your map to take the best of the event at the right time and place. *Mickey`s Boo-to-you Halloween Parade: Disney characters will be passing by Main Street in a color full parade. *Hocus Pocus Villain Speltacular: With its first debut on 2015 this leave show replaced Disney Villains Mix and Mingle that will be performed at Cinderellas Castle. *Happy Hallo wishes -Halloween fireworks: Orange, Purple, amazing projection over Cinderellas Castle and all the lights of the most popular fireworks on earth will be available. *Trick or Treat Spots: Very created Theme Parks snacks will be available for purchase during the night. Look for your discounted halloween vacation package at Orlando Discounts Tickets USA and discover how to save and enjoy with your family in a safe environment on your Halloween 2016. Disney Magic Kingdom is well recognize for the show and performances held at day and night time. One of the most favorite, magical and waited for the visitors is the Main Street Electrical Light Night Parade which is presented on regularly unless there is raining at night time. Electrical Light Night Parade features floats and live performers decorated with millions of lights electronically controlled and synchronized to be a beautiful out of this world spectacle. The ride initiated on June 17th, 1972 at Disneyland in California and opened for the Orlando Public n June 1st 1977 with the name of Spectro Magic and showing just some of the characters of that time, but today and adopting the name of Electrical Light Night Parade includes multiple characters starting from Magic Kingdom and including the most recent princesses like Ana, Elsa from the Frozen Movie. The Main Electrical Light Night Parade pass by Main Street and pretty much is seing for most of the people, lights at the Theme park at this time are settle down to appreciate better the musical and colorful floats. This performance is basically priceless and with Orlando Discount Tickets USA ticket promotion you can get admission to Magic Kingdom for only $39 dollar for the first 2 people per ticket like this one is priceless and difficult to forget. 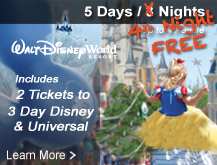 Visit www.orlandodiscountticketsusa.com to discover vacation packages at discounted price and take advantage of visiting the Walt Disney World Resort during the next fall 2016. For those who have visited Animal Kingdom and have enjoyed the Musical Show Finding Nemo a colorful, greatly executive whimsical performance featuring human size puppets and other acrobatic art show will definitely will be interested on attending to “Follow your heart” a new show that will be staring Dory the favorite forgetful fish from Finding Nemo. The Disney On Ice Show will available in Orlando for the public for the next fall 2016 and that combine special Disney Characters. “Folow your heart” the Disney on Ice new show is inspired on the record-breaking movie Finding Dory and off course will have the participation of characters like Dory, Nemo, Marlin and Hank an orange octopus. The story tell of the Disney on Ice show is a underwater world expedition that will change Dory´s life. What is very interesting about the new show is that during performance some of the characters like Joy, Sadness, Anger, Fear and Disgust also of the movie “Inside out” will play their part during the on ice show along with a total of 60 Disney Characters. Disney On Ice Show “Finding Dory” is a great family adventure full of entertainment, special effects, ice skaters and a beautiful content about how each should follow their own destiny. Break the routine and this fall which is a great time for visiting Orlando take advantage of the vacation packages that Orlando Discount Tickets USA has for your family starting with only $129 dollars for 3 days and 2 nights and admission for the first 2 people for one day to a Disney, Universal Studios or Seawolrd Theme Park. If you already has your hotel accommodation explore get discounted tickets for only $29 dollars for one day admission for one of the theme park. 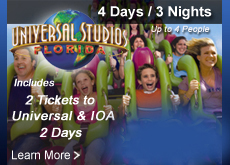 Visit www.orlandodiscountticketsusacom to explore offers for a dream vacation in Orlando. El parque emblema de la industria cinematográfica desde la perspectiva de Walt Disney World en Orlando es Hollywood Studios. Peliculas clásicas y nuevas revelaciones usualmente tiene un gran debut y un incitante muestra en las instalaciones del parque, además tiene un gran hall donde personajes característicos de las series animadas mas populares de el Canal de Disney tiene su espacio para dejar un recuerdo inolvidable a los seguidores de las series. Para los locales de Florida es fácil observar como las transformaciones del parque generan interrogantes en cuanto al nuevo acercamiento en términos de entretenimiento que siempre al final del proceso tanto para los portadores de admisiones anuales como para los visitantes menos regulares dejan una gran satisfacción en la ejecución de las obras para ofrecer un mayor y único entretenimiento en el parque. Los 2 grandes proyectos de Hollywood Studios desarrrollados actualmente son “Start Wars Land” y “Toy Story Land” que si bien son dos películas sumamente exitosa para 2 grupos generacionales bastante diversos. Orlando Discount Tickets USA en su compromiso por informar acerca de los eventos relevante en los Parques Tematicos de Orlando extiende las comunicaciones oficiales de Walt Disney World quien ha anunciado nuevos adelantos en referencia a “Toy Story Land” en el parque de Disney Hollywood Studios. La tierra de “Toy Story” te hará sentir como uno de los juguetes de Andy y su patio de juego incluyendo Woody y Buzz y los demás personajes de la película. Uno de las attraciones reveladas es la divertida montana rusa “Slinky Dog Dash” el cual es catalogado como atracción familiar que seguramente los niños van a querer montar uno y otra vez. Como características del el contenido de la película “Slinky Dog Dash” es inspirada en la gran imaginación de Andy quien con su juguete Slinky en combinación con otros juguetes crea una emocionante aventura en la que transferida a la experiencia de la montana Rusa en Disney Hollywood Studios los participantes estarán volteando de un lado para otro y experimentando sensación de caída. Las nuevas atracciones ya empezadas a revelar por Hollywood Studios son un iman para que las familias empiecen a proyectar sus vacaciones a Orlando Florida y ello es bastante sencillo y económico con los paquetes vacacionales de Orlando Discount Tickets USA en los cuales usted puede llegar a obtener un paquete de hotel e ingreso para 2 personas por tan solo $169 dolares o paquetes de descuento vacacional a Disney con admission a los 4 parques Magic Kingdom, Hollywood Studios, Animal Kingdom y Epcot por solo $689 con hotel por 6 dias y 5 noches e ingreso a los 4 parques principales de Disney en Orlando mas un parque opcional. Visita www.orlandodiscounticketsusa.com para descubrir excitantes y divertidos planes vacacionales al parque temático que elijas en Orlando Florida.